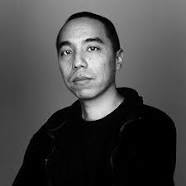 Winner of the Best Feature Film at the 2015 Asia Pacific Screen Awards for Cemetery of Slendour, Apichatpong Weerasethakul has established himself as on of Thailand’s leading independent filmmakers as director, writer abd producer. His previous feature films include Uncle Boonmee Who Can Recall His Past Lives, winner of the prestigious 2010 Cannes Film Festival Palme d’Or prize; Tropical Malady, which won a jury prize at the 2004 Cannes Film Festival; Blissfully Yours, winner of the top prize in the Un Certain Regard program at the 2002 Cannes Film Festival; and Syndromes and a Century, which premiered at the 63rd Venice Film Festival and was the first Thai film to be entered in competition there. Bucking the trends and confines of the Thai film industry, Weerasethakul has woven his unique talents into numerous features and dozens of short films. His style clearly reflects a preference for unconventional narrative structures and he has shown a tendency to work with non-actors in favour of realism. Cinephiles affectionately refer to him as “Joe” – the nickname he adopted out of convenience. He was born in Bangkok, Thailand to a Thai Chinese family. Both his parents were physicians, giving him an insight into medicine and hospice care. He attended Khon Kaen University and received a bachelor’s degree in architecture in 1994 and attended the School of the Art Institute of Chicago, receiving a master’s degree in fine arts in filmmaking in 1997. He co-founded the production company, Kick the Machine, in 1999, and co-organised the Bangkok Experimental Film Festival in 1999, 2001, 2005 and 2008.Still a young man at 45, Joe is likely to grace the film community with many more amazing moments in cinema.